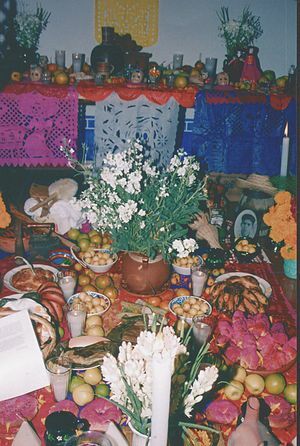 Have you ever wondered what the Day of the Dead Celebration is all about? Then mark your calendar for Tues. November 1st, 2011 and get ready to head over to the California Center for the Arts in Escondido. They are offering a hands-on, free community celebration that features art projects for everyone. There will be a paper flower-making workshop and an interactive exhibit, Eloy Tarcisio’s Muerte de todos ofrendo de participacion, (Death comes to Everyone, a Participatory Offering). Visitors are encouraged to participate in the installation by leaving personal objects in memory of loved ones such as photographs, mementos representing favorite things, and flowers. There will be traditional refreshments available such as Pan Dulce and Mexican Hot Chocolate and performances by Ballet Folklorico performances. This annual event is scheduled for Tuesday, November 1st 2011 from 6:00-9:00 PM. 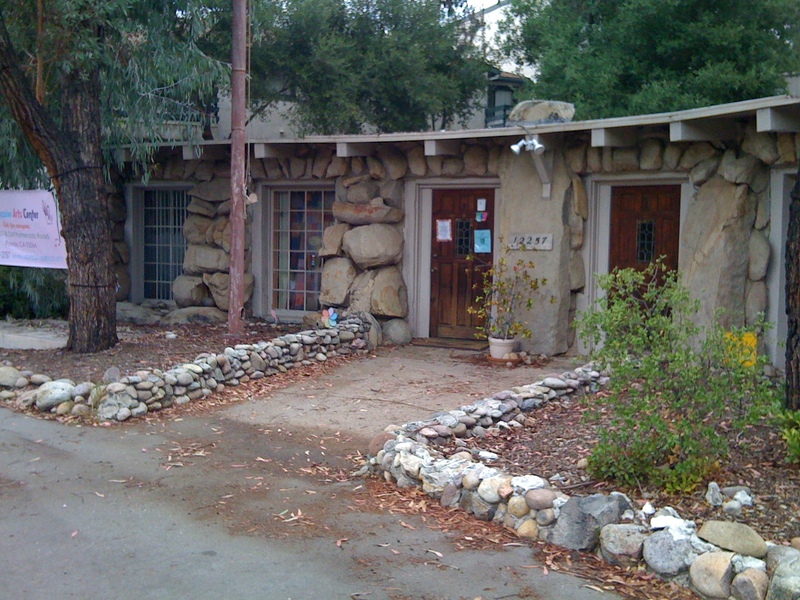 The California Center for the Arts Escondido is located at 340 N Escondido Blvd (between 3rd Ave and Valley Parkway) Escondido, CA 92025. Presented by Vallarta Supermarket and Crescentera. 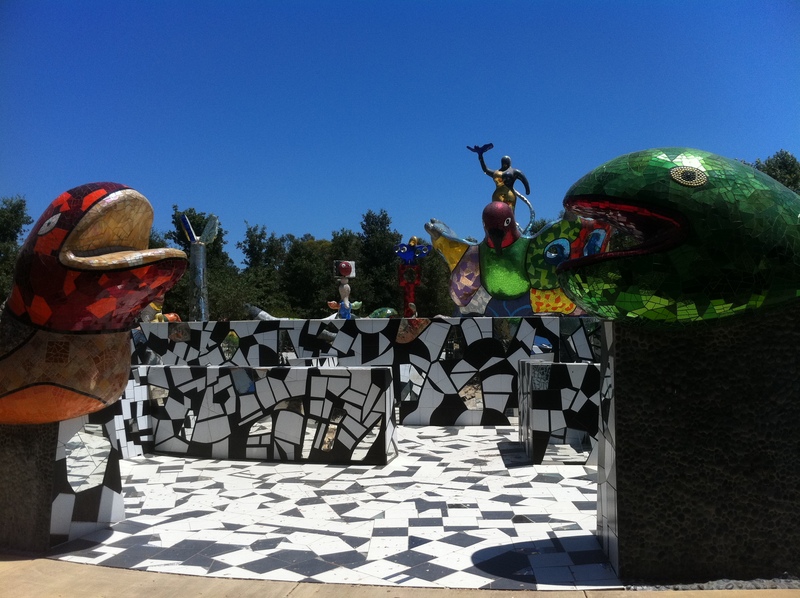 For more information visit www.artcenter.org (800) 988-4253. As always, remember I am here to answer your San Diego County real estate questions. Call me, Karen Urata, at (619) 454-7959. As a real estate agent I find the opportunity to discover many wonderful neighborhoods and what better way to share that with others than through a blog. So today is the first day of In the Neighborhood with Karen Urata. I invite you to join me in sharing what you love about your neighborhood (here in this virtual neighborhood). Today I would like to take a look at what makes Poway a great place to live. One of the things everyone loves about Poway are the wonderful schools. A recent report of academic performance shows all the comprehensive high schools, middle schools and elementary schools in PUSD already surpassing the states 2014 target for academic performance. For details visit http://www.powayusd.com/news/press-releases/2010/PR_09-14-10-APIIncreaseTo883.pdf . With this in mind, I though it would be fun to explore some of the offerings that Poway has for family fun. A recent discovery of mine is the Xspressive Arts Center. This quaint cottage tucked away in Old Poway is reminiscent of simpler times, almost like attending summer camp in the country woods. What a pleasure to cross out of the hustle and bustle of the modern world into this quiet space surrounded by trees, birds, and bunnies. It seems the perfect environment to discover and nurture the creative spirit. There are a variety of offerings here for children (as well as your own inner-child). Classes and workshops range from drawing and painting classes to crafts, beading and knitting classes. They even offer birthday parties with lots of fun crafts for the children to create and take home either at the studio or at your home. In celebration of their 3rd anniversary, Bonnie Stromer the owner of Xpressive Art Center, is inviting you to join them for a Halloween Party on Sun. Oct. 24th at 2:00-6:00 PM complete with free refreshments, free art activities,and a special Halloween drawing demo by their own Miss Jessica. Activities will include Halloween Rubbings* *Make-a-Mask* *Halloween Cards *Halloween Bookmarks* *Halloween Bingo* *Halloween Carols* *Decorate-A-Cupcake* *Halloween Fuse Beads* *Halloween Paint-A-Magnet* *Halloween Velvet Art* *Glow in the dark Halloween jewelry* *Halloween Sand Art *Costume Contest. Wear your costume for a chance to win the costume contest, decorate a cupcake, enjoy games and prizes. Bonnie asks that in the spirit of community that you bring a Halloween treat to share.